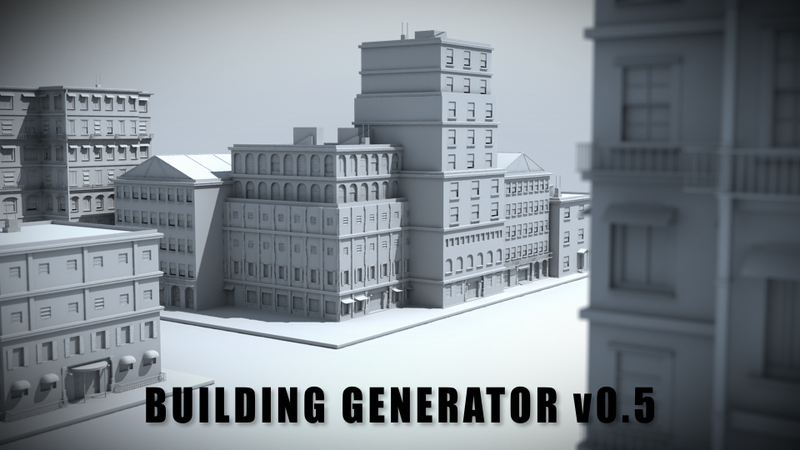 Tyson Ibele, over at http://tysonibele.com/ has released the latest version of his Building Generator for 3D Max 9 and above. Development has been swift with the addition of textures a couple of weeks ago and now a notable update to the creation of windows/details on the buildings. With the creation of digital cities the 'detail' is crucial, from shutters on windows to lights and blinds, they all add up to create a sense of place. We have not had chance to run the latest version yet as its just been released, but if its anything like the previous iterations it is one of the 'must' have scripts for building digital cities.